The shoulders are the most mobile joints in the human body. Because the ball of the humerus is designed to be larger than the shoulder socket that holds it, the shoulders need to be supported by muscles, tendons, and ligaments to secure them in a stable or natural position. Since the shoulder can be unstable, it is often a site for many common complications. Below are 5 common causes of shoulder pain and their associated symptoms. Rotator cuff tears within the shoulder are a very common type of shoulder injury. The rotator cuff consists of a set of four muscles: the supraspinatus, the infraspinatus, the subscapularis, and the teres minor. All of these muscles are attached to the bones of the shoulders by tendons, which purspose is to support, stabilize, and grant the arm movement to move up, down and rotate. The rotator cuff ensures that the arm remains in the shoulder socket. Damage or injury from an accident or gradual wear and tear can result in inflammation to these essential muscles. A severe injury can then result in a rotator cuff tear. The common symptoms for a rotator cuff injury include: aching and weakness in the shoulder while lifting the arm, swelling and bruising of the area, followed by pain and inflammation. 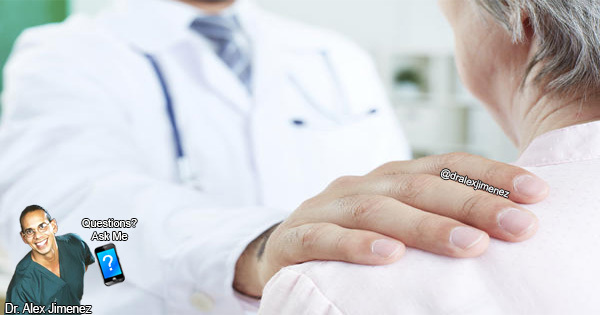 Adhesive Capsulitis, best referred to as a frozen shoulder, is a condition caused when the capsule surrounding the shoulder joint contracts and forms scar tissue, excessively restricting mobility and causing pain on the shoulder. Frozen shoulder is considered the second most frequent cause of shoulder pain and discomfort. The cause for this condition still remains unknown and is often misdiagnosed but, a careful observation of the symptoms of adhesive capsulitis can help distinguish the condition. The pain associated with the condition can be described as a dull, aching pain and on occasion, the pain can extend down the upper area of the arm. The most significant symptom of a frozen shoulder is shoulder stiffness. Shoulder bursitis is a condition which results in the inflammation of the bursa in the shoulder joint. A bursa is a fluid-filled sac structure that functions as a cushion between the bones and tendons found in the human body, and its role is to make movements between the joints smooth as well as reduce friction. When these sac-like structures become inflamed, it develops into shoulder bursitis. Shoulder bursitis can occur due to overuse of the shoulder through an excessive repetition of overhead movements of the arms, due to injury from a fall, or while lifting heavy objects. The common symptoms for this condition include: pain and inflammation, swelling, and loss of motion of the shoulder joint which in turn may also develop into frozen shoulder. Visibly, shoulder bursitis causes the skin around the affected area to turn red. Shoulder tendonitis is a condition caused by the inflammation and swelling of a tendon due to irritation, specifically in the shoulder region. The tendons are bands of fibrous tissue that attach the muscles to the bones. Rotator cuff tendonitis, or shoulder tendonitis, is among the most common commonly damaged or injured tendon site. Overusing the shoulder during constant overhand motions, lifting heavy objects, or direct trauma from an injury to the shoulder may cause tendonitis. Also, as people age, the tendons lose their elasticity and fluid content, becoming more prone to irritation. Shoulder tendonitis symptoms include: pain with increased tissue temperature, swelling, and redness, followed by inflammation, and tenderness. Shoulder fractures can occur in the different bones that make up the shoulder joint, the humerus (the arm bone), the clavicle (the collarbone), and the scapula at the glenoid (shoulder blade). In a humerus fracture, injury typically occurs at the top of the humerus, which makes up the ball of the ball-and-socket joint in the shoulder. Clavicle fractures are the most common type of shoulder fracture, occurring on the bone over the top of the chest. Glenoid fractures, usually considered uncommon, occur at the socket of the ball-and-socket shoulder joint. And last, scapula fractures, also considered rare, occur on the flat bone that rests behind the rib cage. Shoulder fractures mainly occur from overuse and trauma from a previous accident. The symptoms suggesting the presence of a shoulder fracture include pain with simple shoulder movements, swelling of the shoulder and arm, bruising around the affected area that may travel down the arm, and joint deformity.